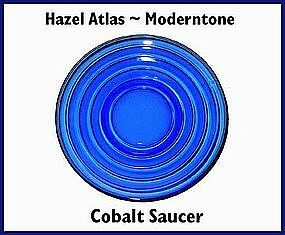 This cobalt Modertone dinner plate was made by Hazel Atlas in the 1940's and is in excellent condition. 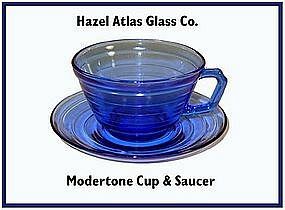 This cobalt Moderntone cup and saucer was made by The Hazel Atlas Glass Co. in the 1940's and is in excellent condition. 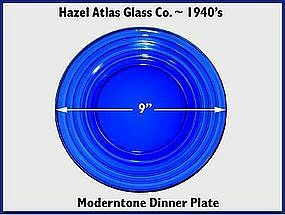 These Moderntone saucers were made by Hazel Atlas in the 1940's and are in great condition. 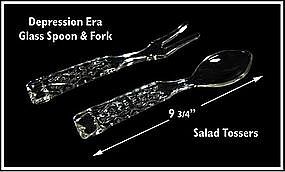 Years ago we had a set like this and a collector showed us an ad that said this was a "Waffle" pattern salad tossing set. It is not listed with the Waffle pattern, but we still call it by that name. It is in excellent condition and from the depression years. 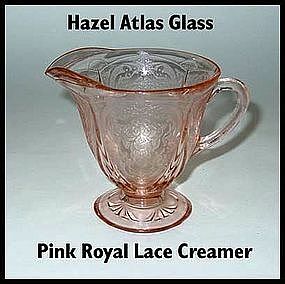 This pink footed Royal Lace creamer was made by Hazel Atlas in the 1930's and is in excellent condition. 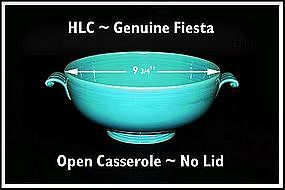 This is the base only for the HLC Fiesta covered casserole. It was made by The Homer Laughlin China Co. in the late 1930's. No chips, strong color, very minor use. Signed on the bottom. 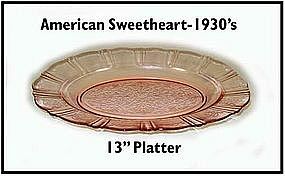 This pink American Sweetheart 13" oval platter is in excellent condition. No chips, no scratches. 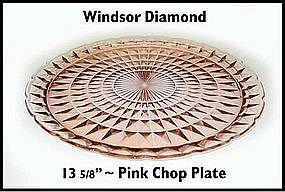 This pink Windsor 13 5/8" Chop Plate was made by Jeannette Glass in the 1930's. 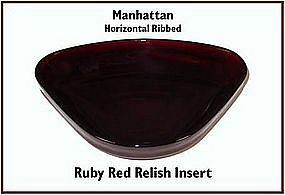 This Royal Ruby relish tray insert fits the Manhattan relish tray, and is in super condition. 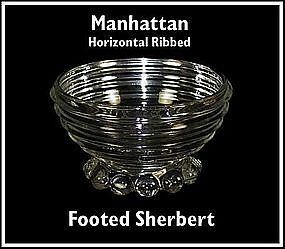 This is the footed sherbert for the Manhattan pattern made by Hocking in the 1940's. They are in excellent condition. 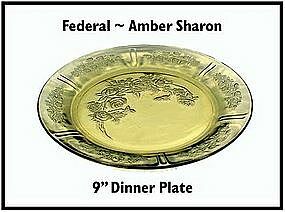 This amber Sharon Cabbage Rose dinner plate has some light use but no chips. 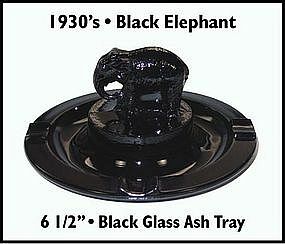 Made by the Federal Glass co. in the 1930's. 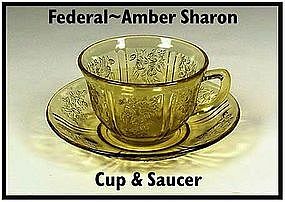 This amber Sharon cup and saucer was made by The Federal Glass Co. in the 1930's, and is in excellent condition. 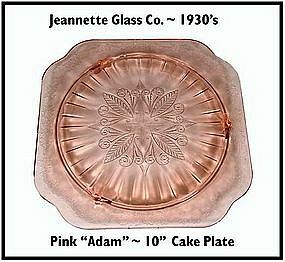 This pink Adam footed cake plate was made by The Jeannette Glass Co. in the 1930's and is in great condition! 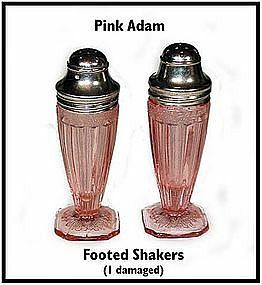 These pink Adam shakers were made by The Jeannette Glass Co. in the 1930's. One of them has a crack in the footed that has been repaired. It stands straight and displays well. Could probably be used with no problem. The other one is superb! The price is right. 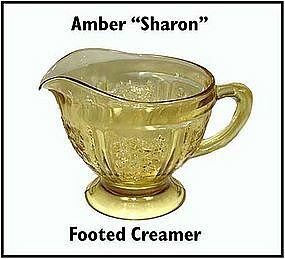 This amber Sharon footed creamer is in excellent condition! 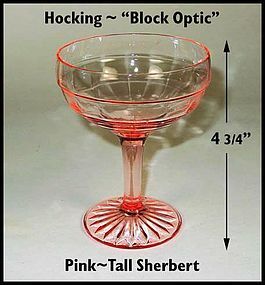 This pink Block Optic tall champagne sherbert was made by Hocking in the 1930's, and is in excellent condition! 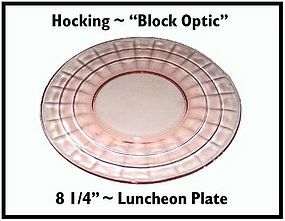 This pink Block Optic 8 1/4" luncheon plate was made by Hocking in the 1930's, and is in excellent condition!